Apparently, Motorola is working on two new devices and both the devices are equipped with QHD screen ie a resolution of 2560×1440 pixels. The devices are currently being tested under the Verizon network in USA. 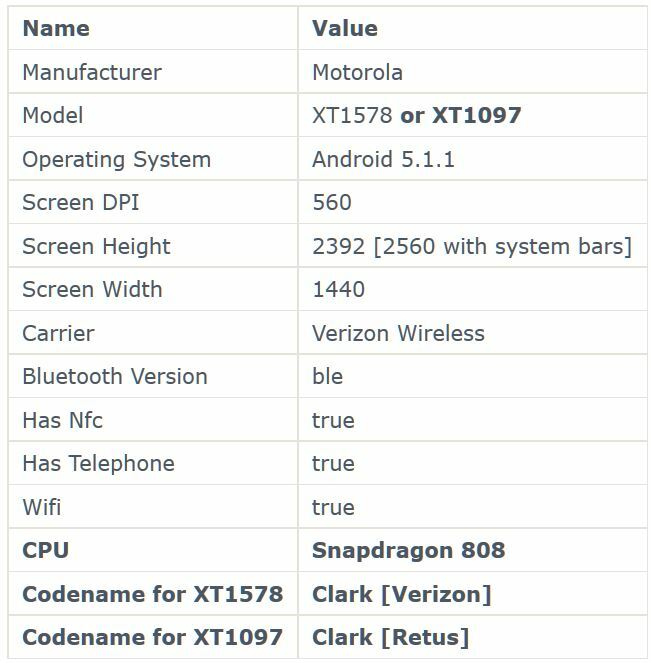 The first device with model number XT1578 (Verizon) and XT1097 (Retus) is codenamed Clark and apparently Motorola is recycling the model numbers of old phones such as the Moto X 2nd Gen to keep the details from leaking into the public. Clark has a 5.25″ display with QHD resolution and will be powered by the hexa-core Snapdragon 808 processor. That means the device has a pizel density of 560 ppi. 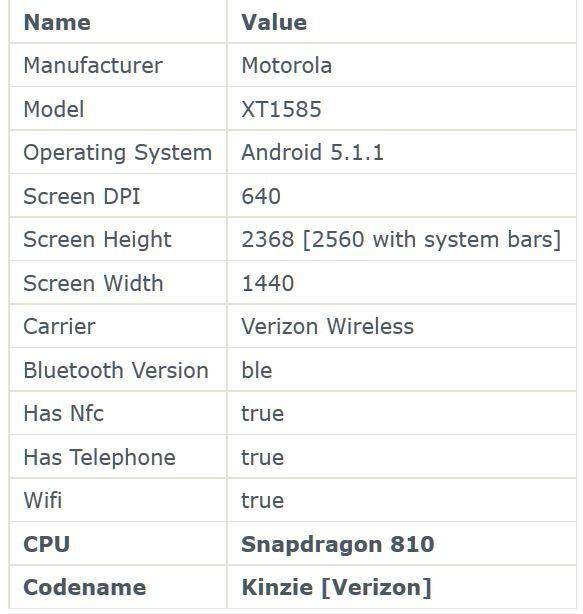 The second device with model number XT1585 (Verizon) is codenamed Kinzie. It also has a QHD resolution but a much smaller screen size of 4.6″ which means its pixel density is a whopping 640 ppi which has never before been launched on a phone. It is definitely unnecessary for a display that is that small. The device will be powered by the octa-core Snapdragon 810 chipset. Both the devices are currently running on Android 5.1.1 during testing but may get a newer version based on when they actually do get launched. Not much else is known about the two devices but we will keep you updated.